Aside from employees, you will need to setup you organisation with locations and areas. This is usually your business name and it is the first step in your hierarchy. If you did own a string of coffee shops and the business name was "Coffee Shop Inc." this would be your organisation in Deputy. You set the organisation when you first signup to Deputy. You can change the Deputy URL by following the instructions here. 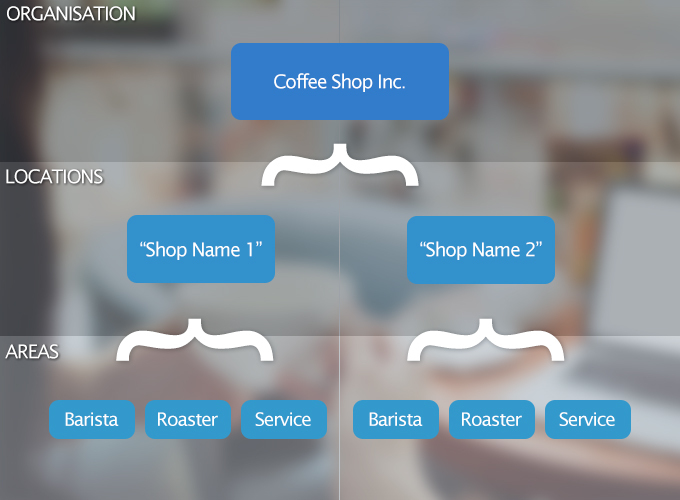 The shop name, job name and/or the physical location, the next step in the hierarchy. 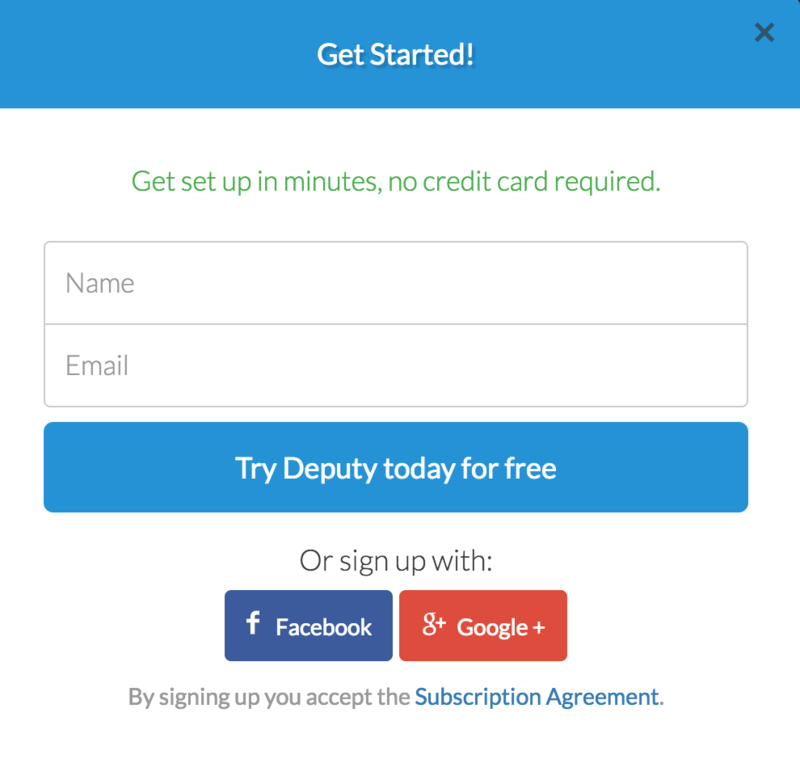 When you sign up to Deputy you will create your first location. Your Location is the physical location/job that you will be asking your employees to work at or on, whether this location is a "Shop name", "Event name", "Location of a job" or a "Job", this is the first point that you will be associating your employees to. 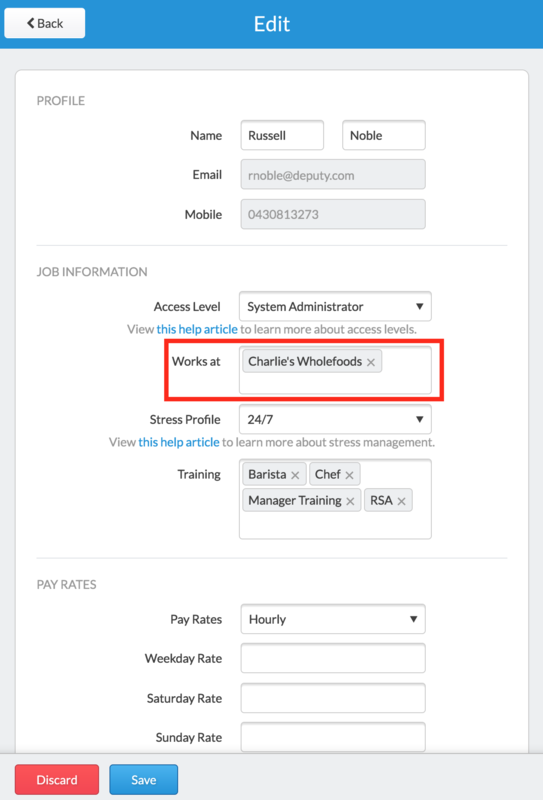 You will need to input an address for the Location as we need the ability to show you where your staff started/ended their shift in relation to the actual Location. Your employees are associated to Locations and therefore your employees can action/communicate with others that share similar Locations. 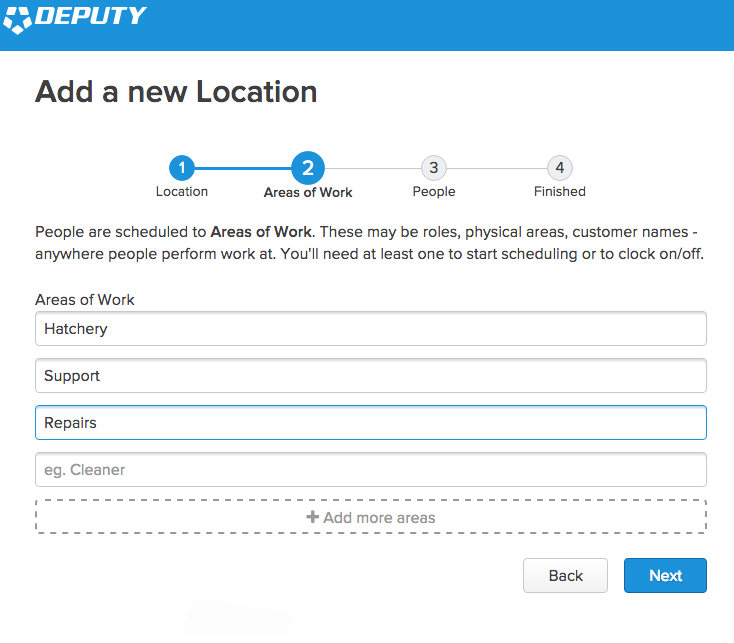 Employees can be associated/connected to multiple Locations. 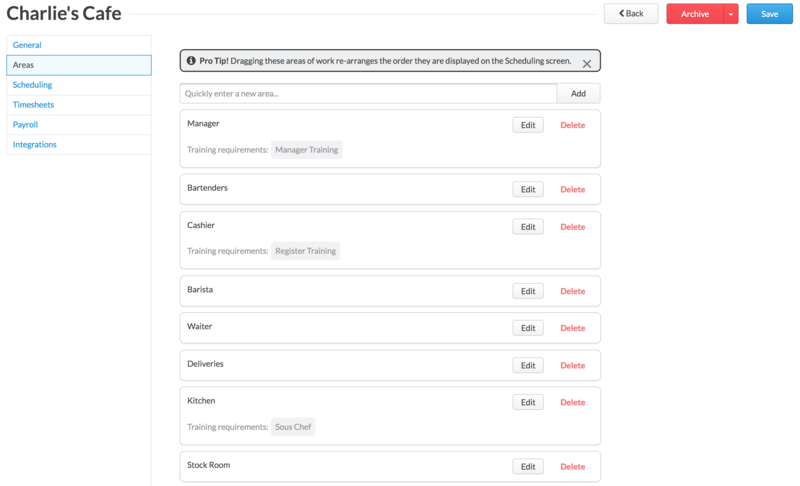 When you link your employees to a Location they will be accessible within that Location for actions such as rostering/scheduling. We understand that different Locations may have different requirements. Each Location has its own settings so you can customize each location for its needs. 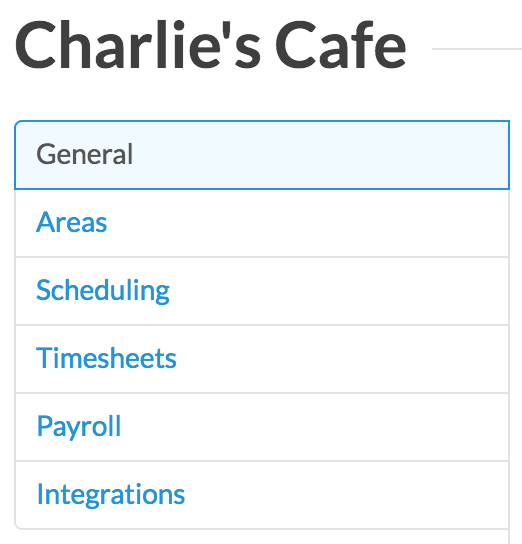 Within the settings you can customise the Address, Time zone, Rostering areas, Timesheets and Payroll settings. The third and final step in the Deputy hierarchy. The Areas of Work are as the name suggests, the areas within the Location that your staff will work. These are the areas you will be rostering your staff to. For example, If we were to create some areas for a Coffee Shop we might think about adding the areas of Barista, Roaster and Service. If you want to edit these locations to make any adjustments or add another area you can adjust these from editing the Location they are linked to. 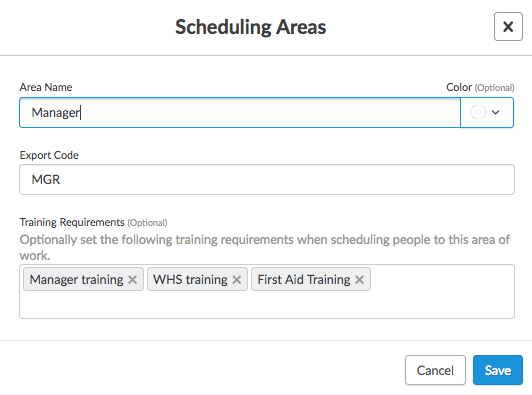 When you edit an area, you can change the name of the area, it's export code (for timesheet export purposes), and assign any relevant training modules associated with that area. The following graphic (based on a cafe franchise) will help explain visually the Deputy hierarchy process. You have an Organisation that can contain many Locations (where staff are associated), which can contain many Areas of Work (the jobs/areas that your staff will work when at that Location). Long Term Customers: Setting the Locations as the Customers name and then setup the Areas of Work as the kind of Jobs for that Customer (plumbing, tiling, carpentry, care). Event Industries: Setting the Locations as the Event and then setup the Areas of Work as the Event Jobs (service, wait staff, bar). 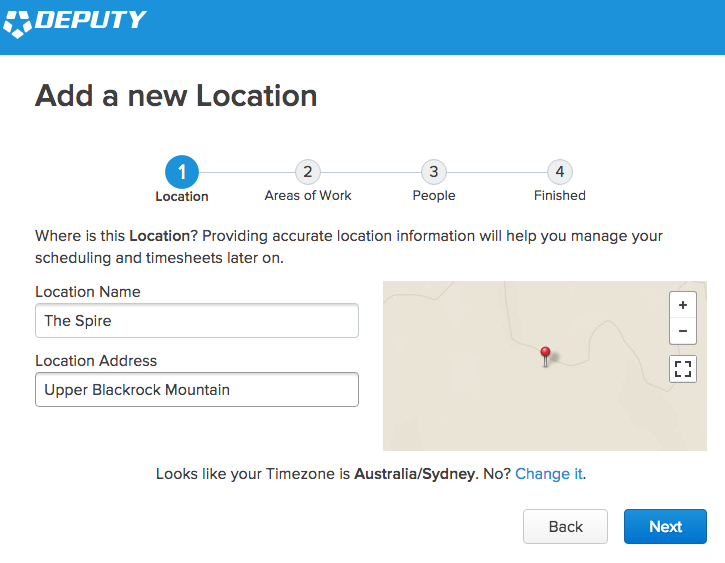 On Call: Setting the Location as your Business Name and then setup an Areas of Work of "On Call". Therefore you can schedule your employees to an on-call shift. Accounting Industries: Setting the Locations as a Project/Customer name and then setup the Areas of Work as the Jobs within the Project (auditing, bank rec).